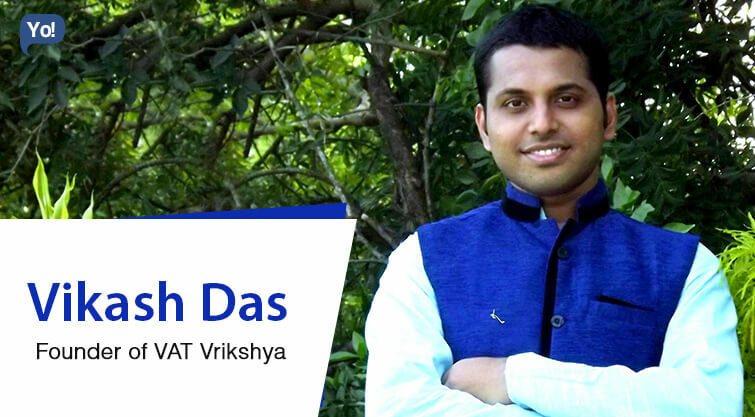 An upcoming hero of the tribals – Vikash Das is the System Engineer who has found Vat Vrikshya! Being a social enterprise, Vat Vrikshya helps tribals in Odisha to provide them with a livelihood upon which they can sustain on without compromising their culture. As of date, the social enterprise has managed to successfully work with 368 families across three villages of the tribal belt. TRIVIA: – Vikash has also cofounded and runs a blog called ‘IndiaSpeaksNow’ along with a few other cofounders. Based in Bangalore, Vikash belongs to a family wherein his father is a Banker, while his Mother is a Housewife. Talking about his qualifications; Vikash has completed his Masters in Science from the Manipal University in Software Design & Engineering (2011-13). Additionally, he had also completed his Bachelors in Information Science and Engineering from Visvesvaraya Technological University as well. To begin with; “Vat Vrikshya” are Sanskrit words, which literally mean a Banyan Tree. For all those who are unaware, Banyan tree is known to be one of the most sacred trees in India and in addition to that, is also the national tree of India. A Banyan tree provides shelter to all the little or large creatures underneath it. On a similar notion; Vat Vrikshya also aims to bring the forgotten tribal sector of our country under the democracy wing. Their intention is to make sure that the tribals are also benefiting from the opportunities that are seen to be increasing enormously. As of now, Vat Vrikshya works with the tribal women to connect them with our mainstream society. These are the women who traditionally have been neglected, under-resourced, have been geographically isolated and are located in remote tribal hamlets and are also forced to manage the expenses of their houses. They believe (and we can’t agree more too) that, women are the best agents of change in any community and giving them the resources to do their work can change the world. And the organisation was also primarily setup to help such women to become active agents of their own change process. How do they make all the above possible? Research, advocacy & networking in issues relevant to the tribal context. What the organisation does is that, since the tribal women have reached to an age where educating them would be extremely difficult. Hence, Vat Vrikshya works on their skill development to make them confident enough to take their own decisions. These skills also include Entrepreneurship as well. The organisation does not have an office setup yet and still holds its local councils and meetings under their central point – Banyan Tree! Research and needs assessment: – They begin their work by understanding the tribe’s culture, problems, community’s needs, interest and expertise, and then accordingly perform a SWOT analysis to figure out what they can offer them. Post this process, Vat Vrikshya launches their pilot project which is implemented, tested, and systematised before it is expanded on a wider scale. 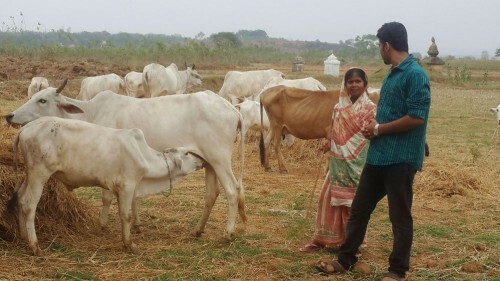 Networking and partnerships: – These tribal women are then connected with successful women entrepreneurs from other tribal villages. This is done to create a network between different tribal villages, towns, cities and markets. Later, Vat Vrikshya makes an initial contribution of Rs 2000 to women of every family in the village, to which an (X) amount of contribution is also made by the woman as well, based on their monetary situation. Additionally, they are also facilitated with initial capital requirements, and are also connected with various Women’s Social Groups, NGOs and Financial Institutions for future assistance on launching their own arts and crafts enterprises. Vat Vrikshya staff then closely monitors the activities and progress of the new enterprises to make sure they function smoothly. Educating and Marketing: – Along with the aforementioned, the tribal women also receive ‘Vocational training’ based on their expertise and areas of interest. Women are also taught how to market, brand and pack their products attractively and effectively. And on the other end, Vat Vrikshya also educates urban customers about tribal arts, handicrafts and culture to encourage sales. Transparency and Involvement: – As a whole, all the members of the tribal communities are made a part of the functioning of Vat Vrikshya; in order maintain a trust factor and transparency. These tribal women representatives maintain the records, the Vat Vrikshya fund and are also responsible for arranging the weekly training sessions. Lastly, being a self-sustaining social business organisation, Vat Vrikshya is focuses on making profits. These profits are then used for increasing community welfare, improvement of health and education in the villages, and also to support these women with loans to buy modern machinery or equipment, without charging any interest. How Did The Formation of Vat Vrikshya Take Place? This story dates back to Vikash’s childhood! When he was a child, he was always stopped from playing with the tribal kids around the area. What was worse was that he was even asked not to touch them or have any kind of food with them. Later, while Vikash was on vacation to his hometown village, he saw that an old tribal woman was holding her grandson begging outside a temple, and when she tried to enter the temple, she was literally abused and thrown out of the place. Why? She was an Adivasi (Tribal). She was considered impure and unclean. He always wondered why tribal people were treated with such cruelty by our pseudo-urban society. They were as human as any of us, so then why were they considered as untouchables? Anyways! Time passed. He grew up. He completed his education. Worked for six months with HCL Infosystems as a Project Trainee, and then moved on to work with IBM as an IT consultant as well. Yes, he certainly was satisfied with what he had and was getting, but then again the same old thoughts about tribals began taking over his mind and were beginning to multiply rather than vanishing. He wanted to know, what the reason of his birth was and what the purpose was, that he was meant to serve in this world. He always wanted to do something that was meaningful to the society, than just sitting in the office the whole day, just to make an MNC richer. That is when he realized that, even though he had grown up in close contact with the tribal communities, but there was never an instance when he got a chance to connect with them. He always had seen their problems through a glass. Yes, he could analyse their problems, but he couldn’t really feel them. Hence, he decided to quit his job, lead a poor life and live like them for two months in their village. 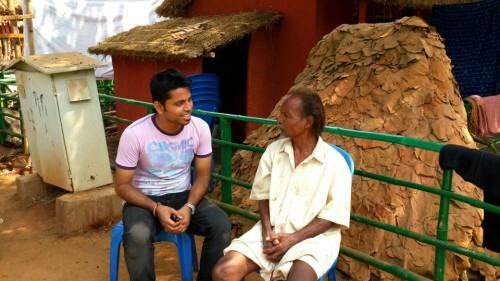 He saw that the tribals had a rich culture and traditions. But unfortunately, the adversities of the tribal communities were endless, with no solution or help. Be it – unemployment, illiteracy, malnutrition, geographical isolation, landlessness, health and sanitation, exploitation by middlemen, traders and money lenders or for that matter non-profitable agriculture, they did not have any support, from the government or the general masses. While at it, he also got a chance to learn a lot from that experiment. For the first time in life, he experienced what deep hunger was, and how devastating and frustrating it could get living in such conditions. He could literally see in their eyes, what their real problems were? Living here, he also understood that material possessions don’t guarantee happiness, and we should always be grateful for what we have. Vikash always wondered why were there so many problems and no solution, why wasn’t the society or the governments doing anything about it! Why can’t we be the change we wish to see? Rather than reading, watching or complaining about issues, why can’t we contribute to the larger picture of getting such tribal communities to be a part of the mainstream society? Having though that, he decided to take the initiative of doing something for these deprived tribal communities, for starters. And at the age of 25, Vikash started ‘Vat Vrikshya’! To being with, his family and friends were very upset with the fact that he was leaving his job and settling down in a remote village. They thought that something’s wrong with Vikash because he wanted to live like a poor to help them. But when they figured what his business model was and how effective it was, they gave in. On the other end, since the tribals were always in the fear of being exploited by the outsiders, the toughest thing for Vikash during his initial stages was to convince the tribal communities to become a part of this idea of theirs. But once he earned their respect, good wishes and blessings, they accepted him as one of them. They now treat him like their own family member, support him and care for him and he also believes that they can do anything for him and go to any extent as well. So their functioning was pretty simple; initially Vat Vrikshya donates Rs. 2000 to prospective women of every family in the village, post which the women add (X) amount to that figure based on their capacity. The organisation also helps with more funds or getting loans via banks if required. After this, they also help setting up the business venture fulfilling every possible need of theirs and also monitor their functioning in future. And in no time, due to the skills these women possess, they have managed to make 3 to 4 times the profit of the initial capital. From the profits they earn, 10% of that is then set aside for the Vat Vrikshya fund. And don’t be mistaken, because this fund is also maintained by some of these tribal women only. And that money that is also saved for organizing weekly Mahila Sangh (Women Club), which helps all these tribal women with training of vocational, marketing of products and knowledge sharing techniques, itself. And 40 % of the rest of the profit goes for children and adult education in these communities. The rest of the profit is then divided equally. Vat Vrikshya at large, also helps women to get advanced machineries, interest free loans from their fund, free medicines, free books for education, and a lot more. And the best part is that, they don’t accept donations from any organisation or people. They only believe in the principle of earning a living, than charity. What Are The Developments of The Enterprise? With such a brilliant model, it goes without saying that, Vat Vrikshya has been successful in achieving effective economic and social change in the communities they have worked with so far. They have successfully managed to instil these women with the moral boost and confidence, who are now able to drive multiple times the profit and have also increased their family income by two to threefold. They have also managed to throw out the middlemen, thus guaranteeing them a fair price for their products. This has helped greatly because these Artisans no longer have to migrate to other cities or towns in search of jobs. The development and awareness due to Vat Vrikshya is such that, these communities are now less dependent on agriculture and agricultural income, and hence, malnutrition and starvation rates have dropped greatly in these sectors. They have also given them the freedom of not being dependent at the mercy of money lenders who used to charge them heavy interests rates. Their impact is such that, with an increased income and better bargaining power, these women are now awakening to demand social, economic and reproductive rights. They are also seen to be raising their voices against age-old social evils like child marriage as well. Going ahead, Vat Vrikshya aims to scale up their business by working along with the corporate world. They also plan to expand beyond the range of Odisha. They also plan to get all the tribal communities connected to each other by creating a globalized traditional tribal craft work, in order to strengthen these business networks across the tribal communities in the country and to promote this sector worldwide. They also understand that our tribal culture is rich and unique, but at the same time is facing serious threat of cultural extinction. Hence, it is important to preserve them. Keeping that in mind, Vat Vrikshya is also planning to set up a tribal research lab in collaboration with the state government which would eventually attract more students to research in this area.